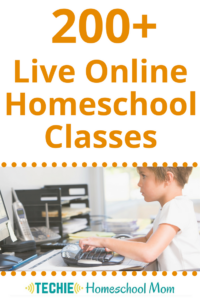 Check out over 200 live online homeschool classes in this Outchool review by a homeschool mom. 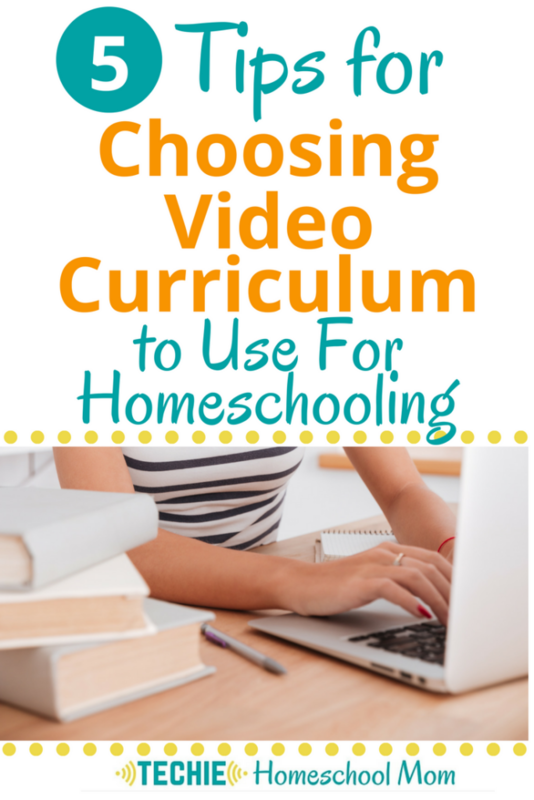 Outschool is a great fit for eclectic techie homeschoolers. 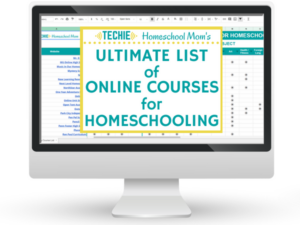 If there's one thing (well really two things) that I've discovered about techie homeschoolers, it's that…. Good thing….because I like to share what I find on my quest for more digital learning opportunities. And I would have been really bummed if you didn’t want to know about the latest things I was excited about. One of my best discoveries is Outschool. 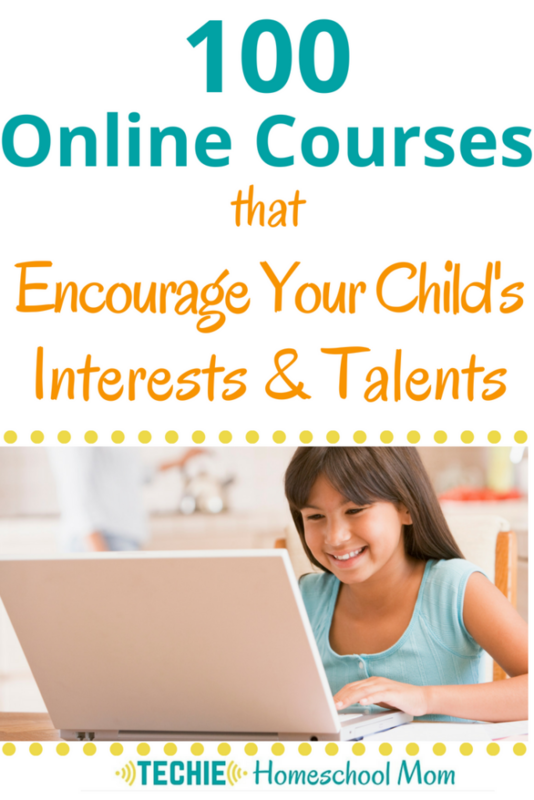 It’s the best source I’ve found for LIVE interactive online courses for homeschoolers. Yep…I said “LIVE”, as in you log in to a secure classroom and the teacher and kids interact directly, in real time. It’s one of those gigs that I would have never imagined when I was a kid or even a college student. I remember how “rad” it was that I could send electronic notes back and forth to my sister sitting in another computer lab 45 miles away. Outschool is a perfect fit for eclectic techie homeschoolers. You can choose from over 200 online homeschool classes from a variety of instructors. With so many options (in all subject areas), you can personalize your family’s education. You can choose from core academics or supplementary activities, one-offs, short exploratory courses and semester-long courses. You pay per class, so you can find what fits your budget. With Outschool, you’ll definitely be techin’ your homeschool as the kids interact with their teacher and other learners live over video-chat in a safe environment. Teachers engage the kids, addressing them specifically by name. The number of students is limited, so your kiddos get focused instruction. They can ask questions and engage in discussions alongside other homeschoolers, plus collaborate on projects. I’m impressed by the number of options and the convenience of joining Outschool’s live classes. Living on an island, we don’t have many (as in na-da) opportunities for co-op classes, but Outschool gives us a virtual co-op feel. I can search for courses by type, subject and ages of my kids. If I wanted, I could probably even organize a group of homeschooling friends and book a class specifically for us. We’ve tried two courses since I discovered Outschool a few weeks ago…. Big Picture History: Australia and New Zealand: My 10-year-old took this free one hour class. I liked Mr. Powell’s enthusiasm and direct teaching style. There’s not another session scheduled, but you can find future Big History classes HERE. I'm not the only parent who's loving Outschool. How Does a Computer REALLY Work Inside? I'd love to know which courses you think your family will enjoy. Leave a comment below and I’ll check them out.